Team building is crucial for all types of organizations but it is definitely one of the most important elements in the success of a startup. 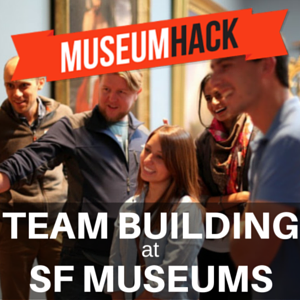 Team bonding becomes a sign of success for startups as they hire more employees employees. Often times as companies grow in size, team bonding can get a little more tricky. In this article, we are going to discuss some great activities that will help boost team morale and help bring your team closer. This activity requires a great deal of teamwork. Teams create some kind of receptacle to protect the egg when it gets dropped from a certain height. Besides encouraging creative thinking, this exercise also forces them to make tough choices, especially in deciding that material that would work best for the task. The good thing about this exercise is that there is a little need instruction, because the game is so common. The physical demand of the activity acts as a great way to destress and inspires friendly competition. In this kind of activity, team members soon realize that communication is just as important as strength, if not more important. In this game, you give employees ten to fifteen minutes to get to know each other. Then you split them up into small groups. The main task here is for each team to come up with a group name that sufficiently captures the spirit of all members of the team. This activity is not only fun, but will help teams learn about each other in a relaxed way. Suggest that most, if not all of your workforce dedicate a least a day in every month to help a charity organization or a community project of their choice. Introducing team building activities to your company is a great way to get employees communicating and bonding as your company expands. There is absolutely no harm in trying one of these activities on regular basis because sharpening your teams’ collaborative skills is always a win!